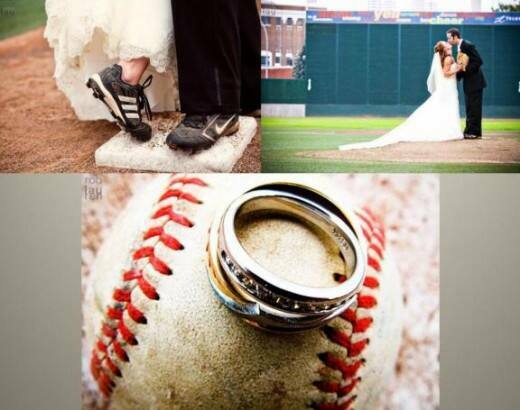 Themed weddings are a fun, creative way for couples to show off their interests and style. 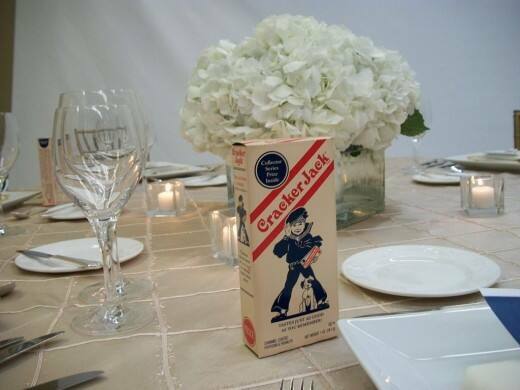 Themes can be incorporated in a big way, throughout your entire event, or simply in subtle details. 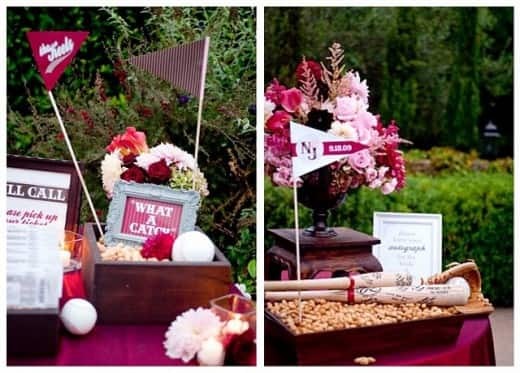 A fun, unique theme for summer weddings is baseball. For fans of America's favorite past time, there's nothing more exciting than this laid back, classically Americana theme. 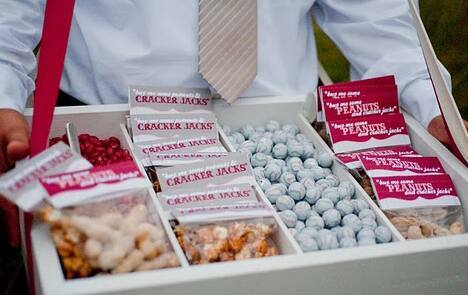 While you may think of peanuts and Cracker Jacks when you think of baseball (and you should definitely include these items for your guests to munch on! ), having some more substantial food on hand is also essential. Why not offer classic stadium-style comfort food, such as soft pretzels, popcorn, sliders, pizza and fries? These items make the perfect treats for a cocktail hour, or they can be served up as a tasty midnight snack. And, your guests can wash it all down with a sweet lemonade-flavored signature drink. Photo: Amorology To cap it all off, what's better than a sweet treat such as cookies (my favorite!) or cupcakes designed to look like baseballs? You can even offer individually wrapped baseball-inspired cake pops as a take-away for your guests. Photo: Amorology Even the smallest details add to the theme and give your guests a sense of excitement about your special day. Are you creating a custom theme for your wedding?